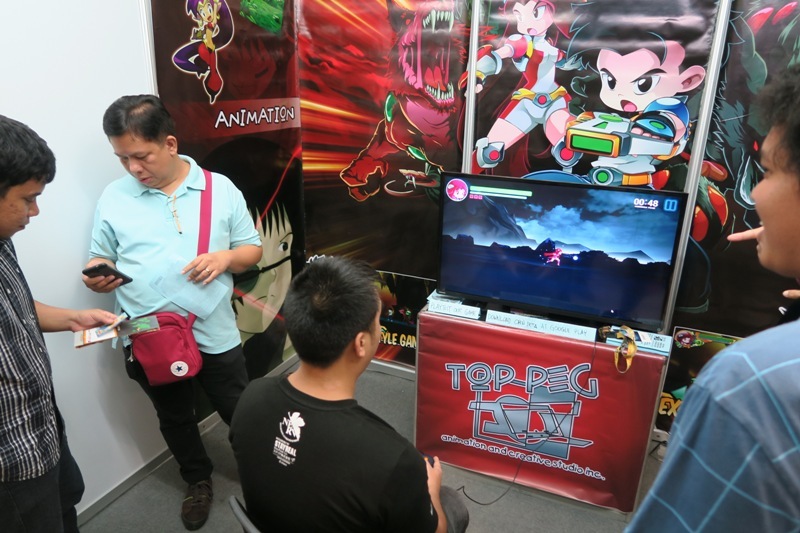 GameCon PH Exhibit | Miracle Animation Studios Inc.
Last July 8 -9, 2017, GameCon PH held a small exhibit for local game developers, computer and art schools, animé and game merchants, hardware game peripheral suppliers, robotics competition, 3D printers, virtual reality demos and Cosplay competition at the SM Megamal trade exhibit hall B. I was only informed by Top Peg Animation of the exhibit on the last minute – June 21, 2017 and at first I did not want attend the exhibit because of the over budget for the creation of our mobile game. It took me a few days to ask about the rental fee and I found out that the price for the two day exhibit was substantially discounted, so I gladly paid for the fee before the July 1 deadline. 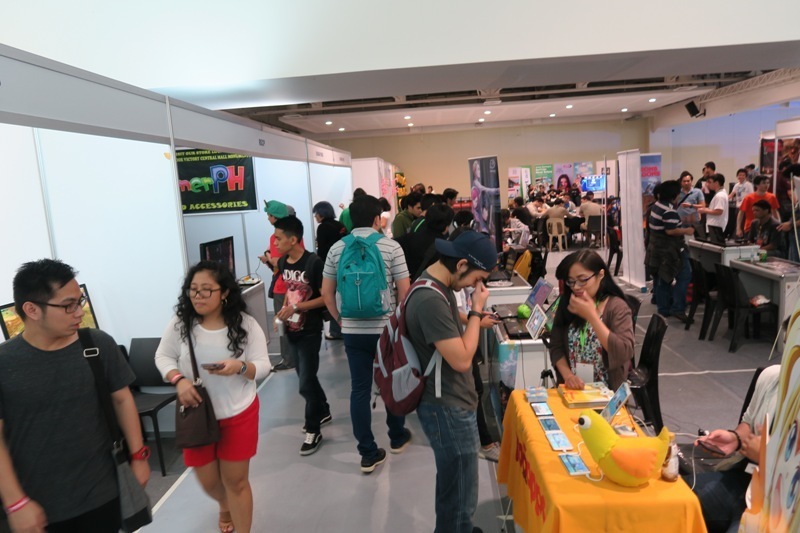 The said exhibit was good timing for us as we only put our mobile game – The Crop Circle Warriors at Google Play last July 3, 2017. 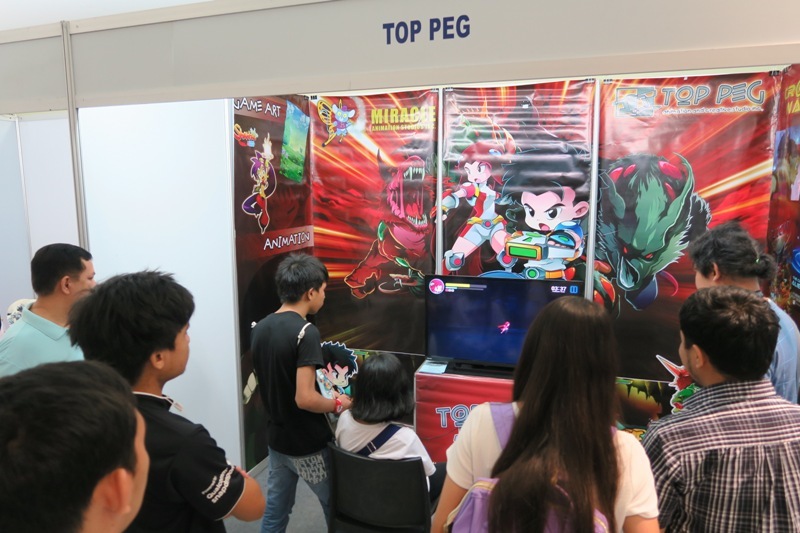 I arrived on July 8 at around 11 am up to 1:20 pm to inspect the Top Peg Animation booth for our mobile game. Since our budget was small for the exhibit, we just used the old tarpaulin we used at the ESGS exhibit last October 28 – 30, 2016. At first I was a bit disappointed with the small venue and few number of people at the beginning. But after lunch time there were more people steadily coming in. 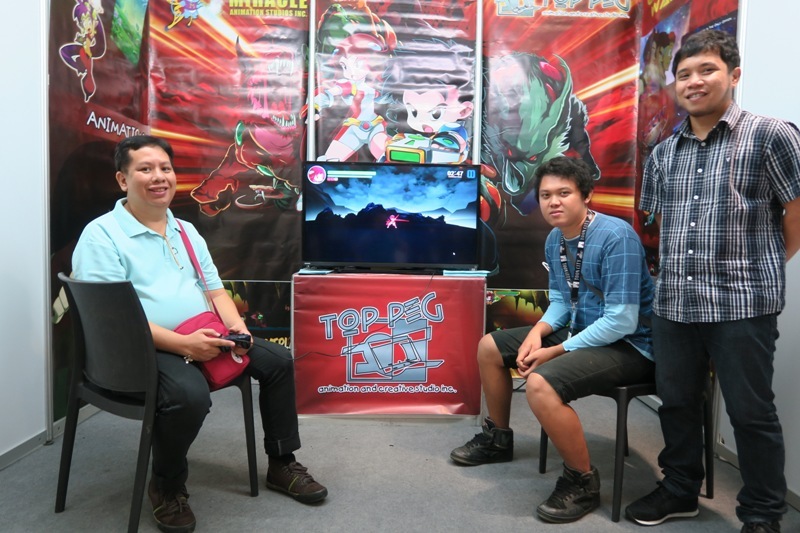 Alstaire, Anthro and Jap stayed on for the rest of the day, I just hoped there will be more people coming in so that we can promote our mobile game more to the local market. I noticed that none of the local independent (indie) developers have developed or created any games or e-novels with any local theme, looks, costumes and titles . 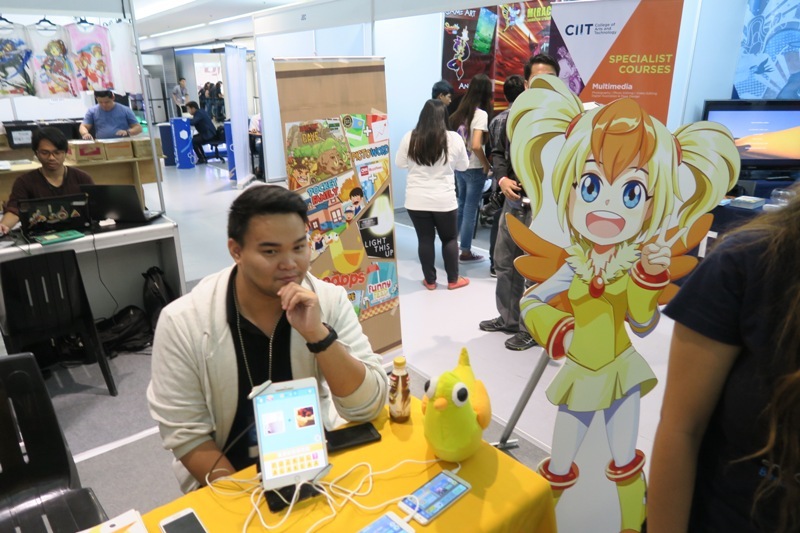 I think all the developers were geared to develop mobile or desktop games for the international market. 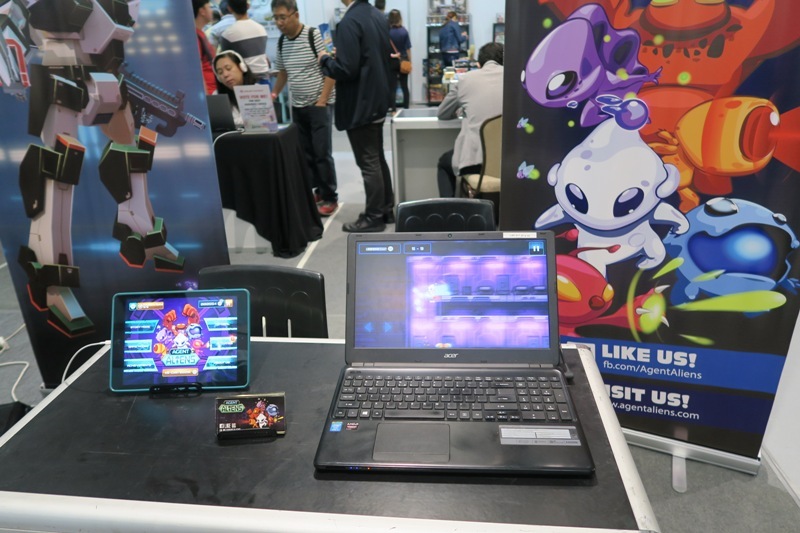 It was my first time to see our finished mobile game (five levels for one environment), and I was very pleased with it as the animation was clear and the flow of the game was smooth and fun to play with. 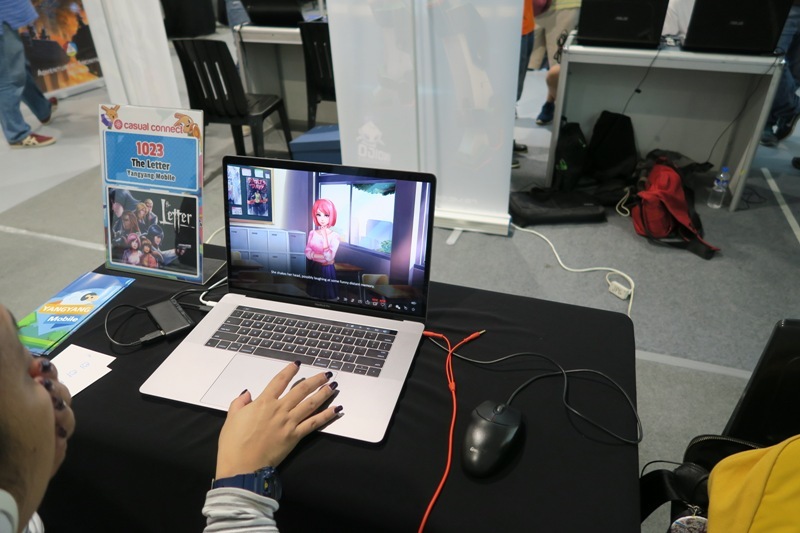 I witnessed that some of the people who tried our mobile game were excited in playing it but some already had difficulty in the first minute. The first player I saw was a 9 year old kid with his father; the kid enjoyed the game by jumping or kicking with his feet. He was followed by some adults, some who were also exhibitors. For those who tried the game, they were given a flyer to visit Google Play to download our game for free and visit our other properties. 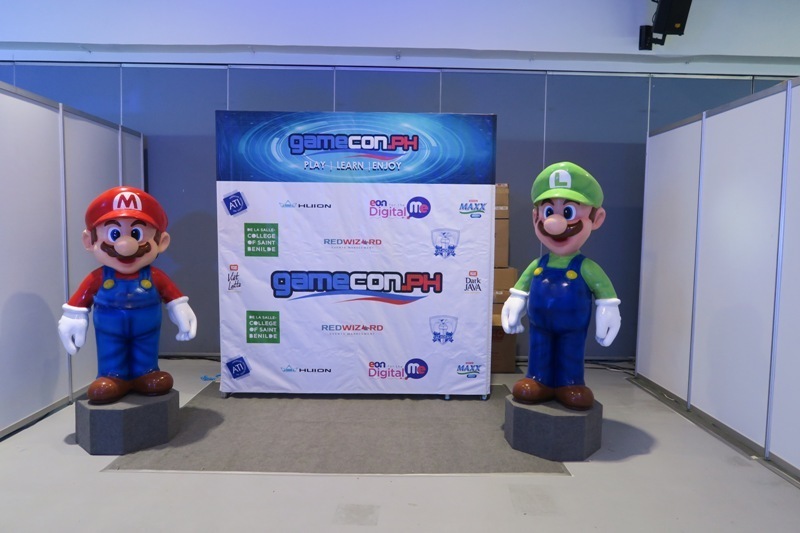 Last May 30, 2017 we were sent an invitation by Red Wizard Event Management to become an exhibitor at Game Con 2017, at the Megatrade Hall 2 in SM Megamall. 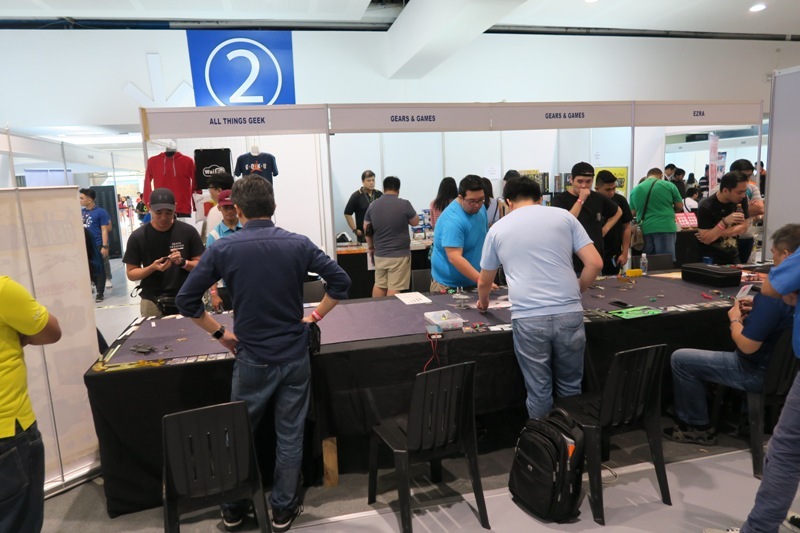 They said that the event highlights were launchpads for Indie games, trade show, game competition, cosplay, development workshops and others. 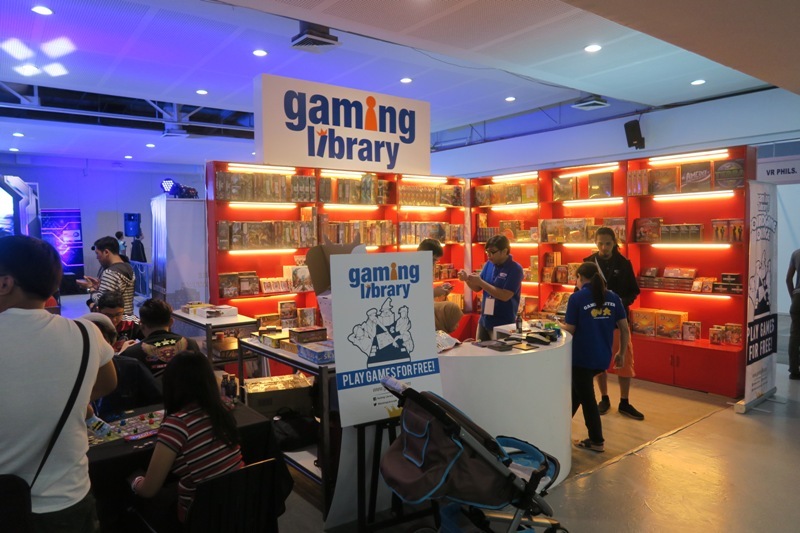 Knowing from the previous trade show we attended (ESGS 2016), having a booth is a bit expensive, so we really didn’t think we would be joining the event. On June 23, Red Wizard emailed again an invite, this time they offered a discounted price, with the event really close maybe they needed to fill up some spaces. 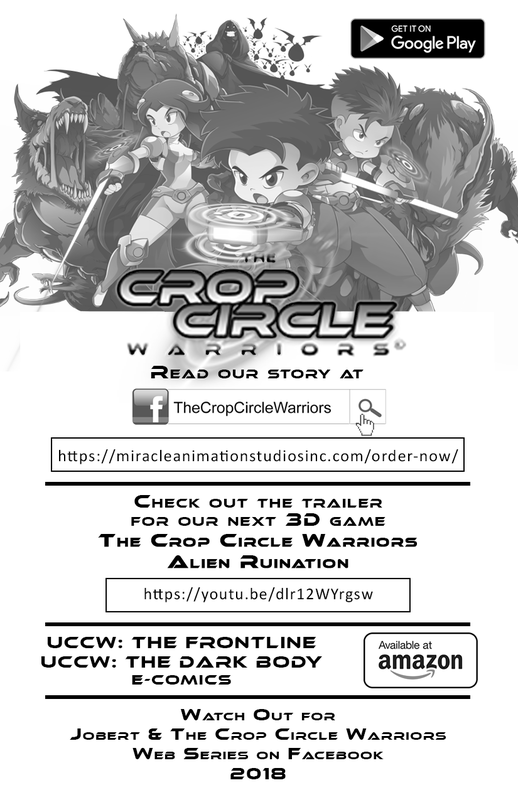 Edith told our producer about the booth and he agreed to join as a means to promote our game – The Crop Circle Warriors. We had about 2 weeks till the opening of the event which was on July 8-9. Since the game had some more polishing needed, I gave Anthro and Jap the schedule to polish the game. 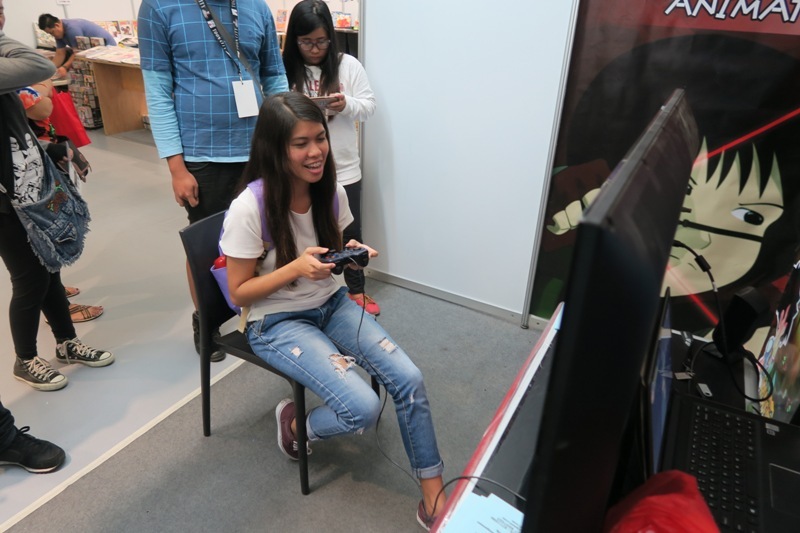 At ESGS, we learned that showing the game through a cellphone wasn’t attractive to the people going around the exhibit. So we planned on connecting the cellphone ,with the game installed, to a 40″ LED TV. I found some HDMI adapters online and ordered them immediately. Unfortunately, they did not function as advertised, so we had to have a backup plan. 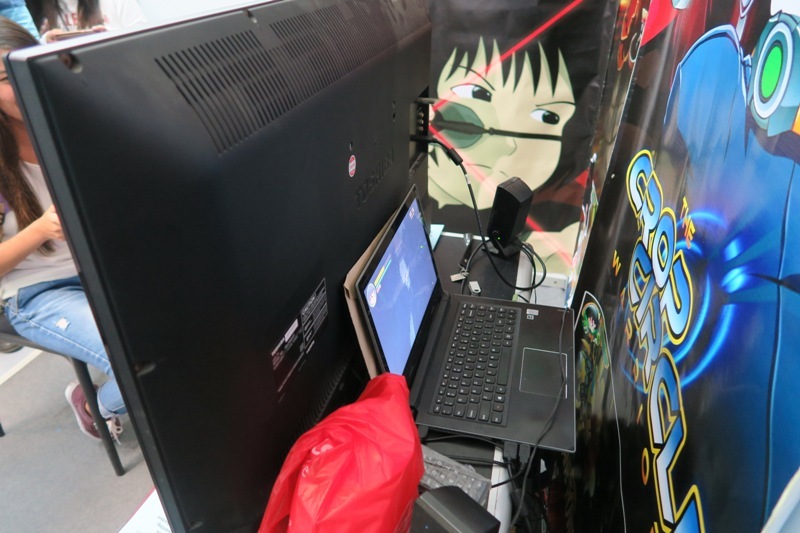 Jap packaged the game for PC use, and we installed it in a notebook computer. The notebook was then connected to the TV, also a game controller was installed so that the gamers could play comfortably. I also had Jap remove the visual buttons on the screen so there would be no distraction of giant buttons on the big screen TV. Jap added more sound effects into the game, especially for the teleportation and orb pick ups. Also some bugs were fixed as well as some additional fixes on the background. July 7, Friday was the schedule for the ingress; the time given was from 2 pm to 8 pm, since it was a work day, we planned on leaving by 2 pm thinking we would get to the venue in 2 hours. We were able to leave the office by 3 pm but because of the Friday traffic, we got to the venue at exactly 8 pm! The worst traffic I’ve experienced in EDSA before this was 3 hours, so it was really frustrating. When we got to the venue, we just dropped all the stuff, and decided to come back early tomorrow. The event organizer said that it would be okay to fix the booth on Saturday morning, so we had dinner and went back home. July 8, Saturday – Anthro , Jap and I, together with Jap’s girlfriend Princess, arrived at the venue at 9 am, so we had plenty of time to setup the booth. We placed the TV on the center, with the notebook hidden behind. 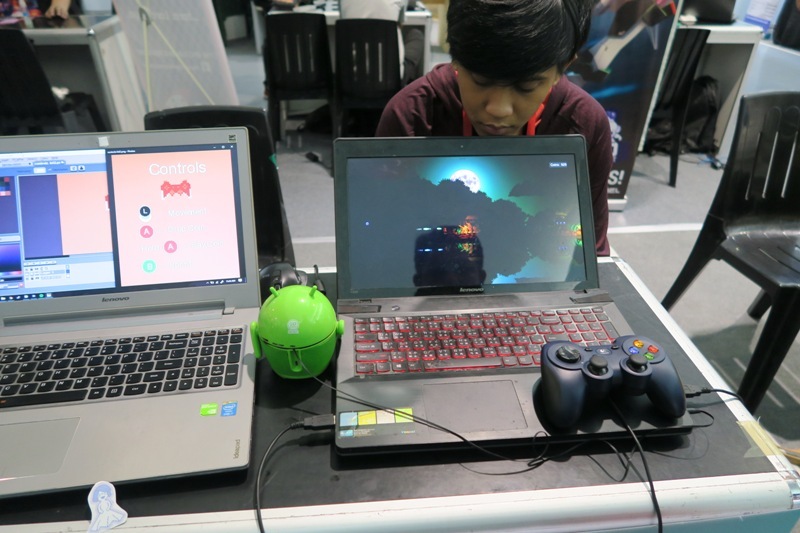 The setup was a success, because we attracted kids and adult gamers to try our game. Sadly, we forgot to print out a feedback form, also we lacked signs that said “PLAY OUR GAME!” or “DOWNLOAD OUR GAME!” so I wrote down these signs around 12:30 pm so more people would take notice. 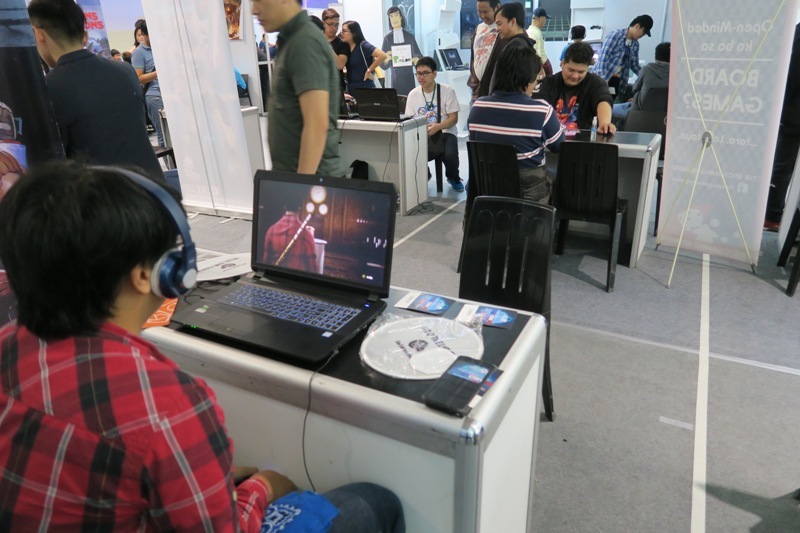 One gamer said that the game looked interesting, and he was surprised that it was done here in the Philippines. They said the quality was good and the animation was nice too. When Edward arrived, that is when I was able to go around and show him the different areas of the exhibit. 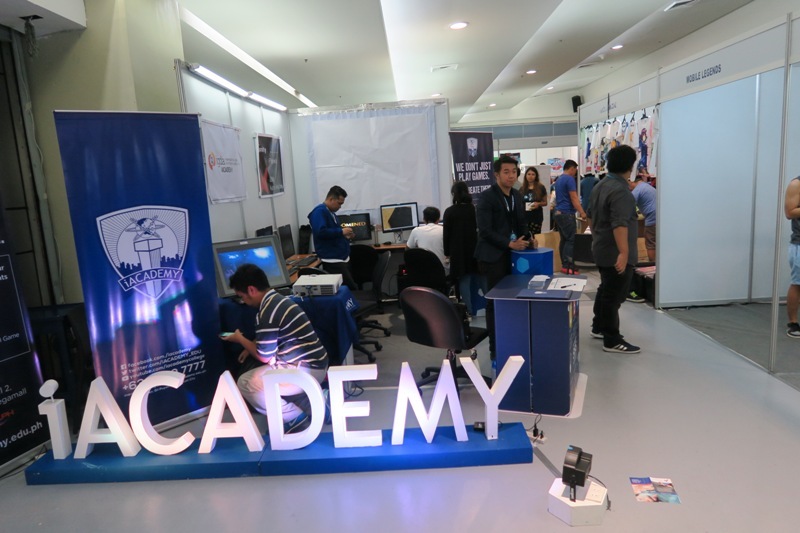 There were animé and manga merchandise, contest for League of Legends and other online games, there were booths of schools, with game development as a course, there was booth for Game Developers Association of the Philippines (GDAP) and some toy stores. 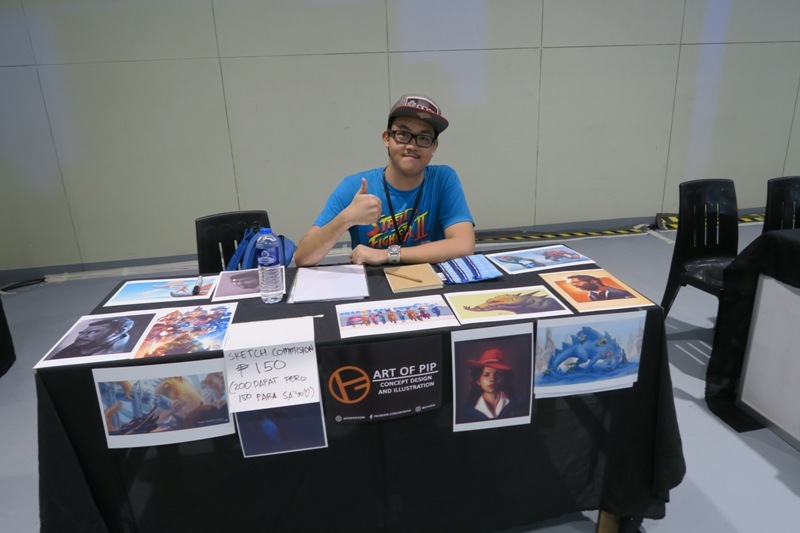 We even saw one of our former student having his own table for art commissions. The most interesting to me was the Indie Game area, because here we get to see the competition and where our game level stands. 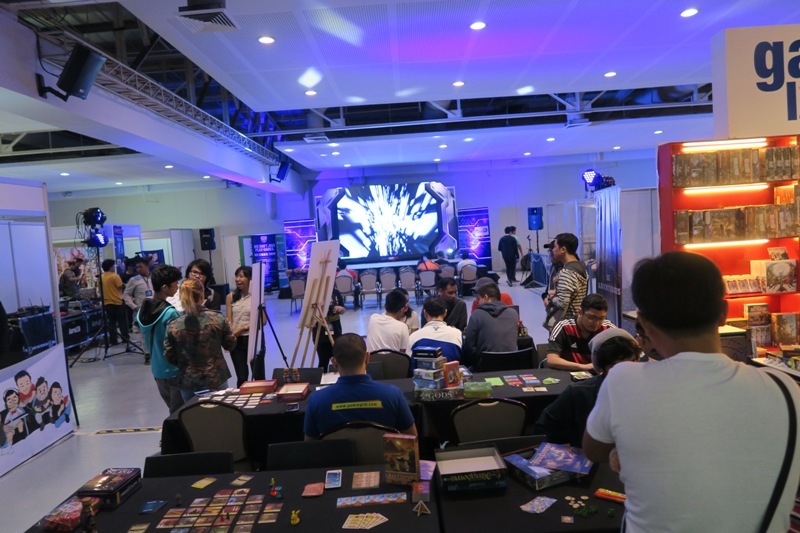 There were different Independent game developers there, with some 3D games, 2D games, animated novels, Virtual Reality games and even card games. 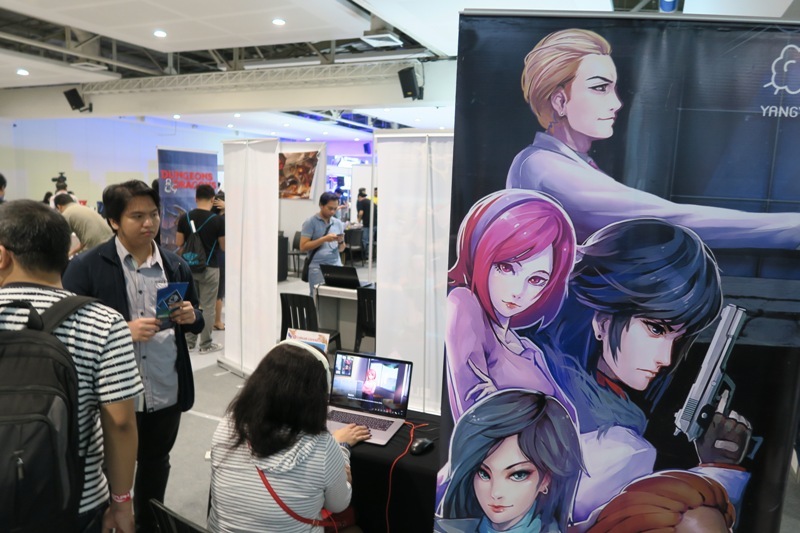 All developed by Filipinos, some were a small group of 3 and others were a small company that had already a number of games in the Playstore. There was even a one man developer. 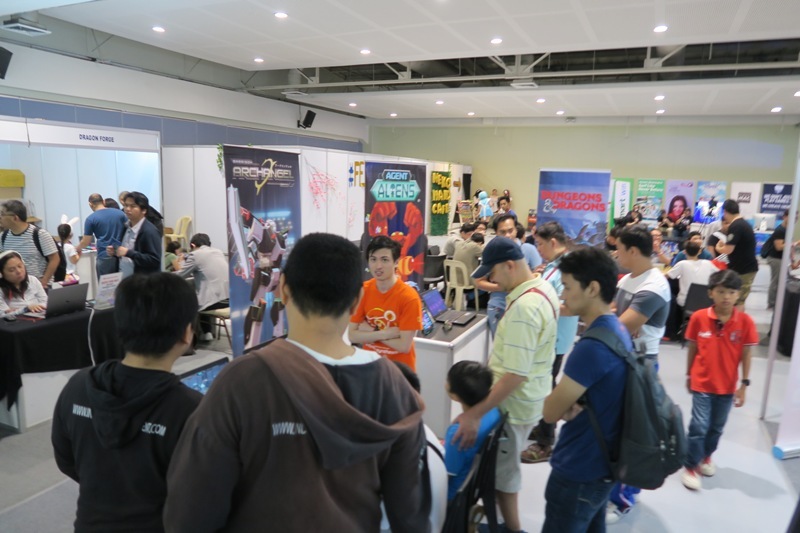 They were all there to showcase their game to either find investors (to help them finish their games), publishers or just to market it to the public. I was happy because, in my opinion, we really had a cool looking game. 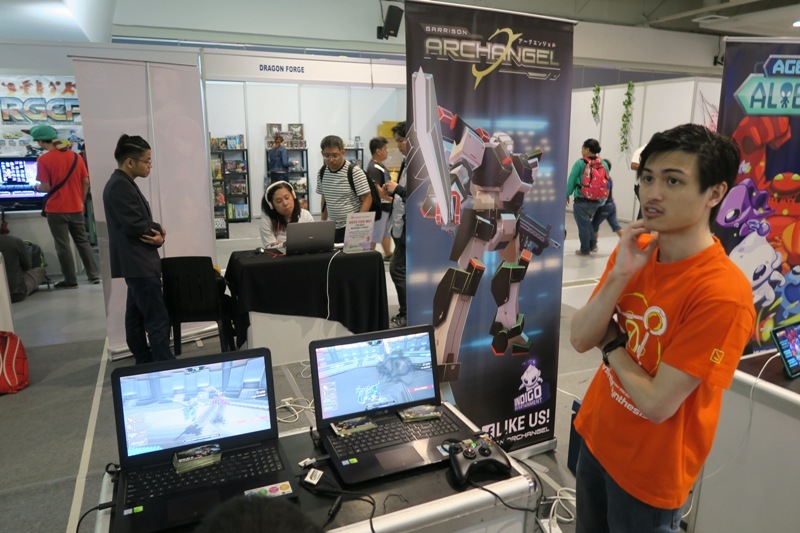 There really wasn’t any game there that was similar to ours, so being an animation studio that is developing their first game, we were proud that we were able to create this game. I was also invited to an interview for a blog. 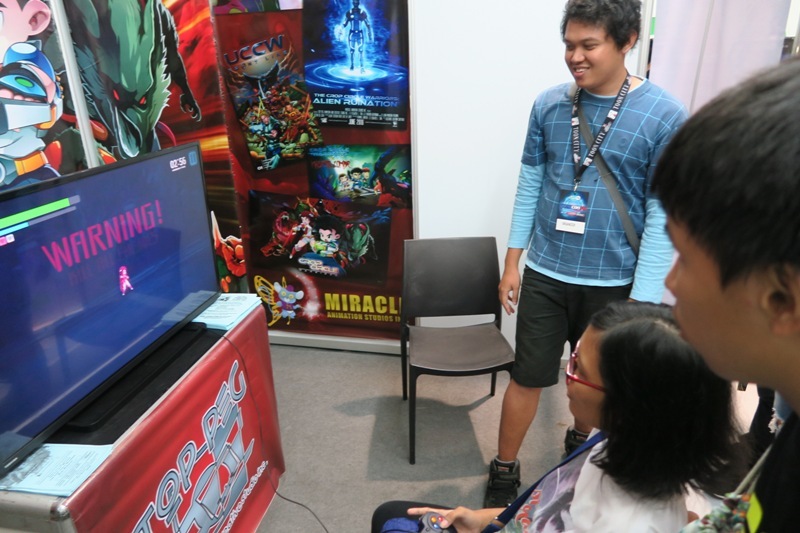 While they showed the game at the back, another guy was playing the game, while the other was interviewing me. They loved the look of the game and was excited on what we planned for it. I said that we were an animation studio and this was our first game that we are developing. I told them that we did game art for other foreign games and we wanted to try to build one ourselves. The interviewer – Harold said that being an animation studio is evident in the game; the player said that he loved the characters smooth moves and attacks. 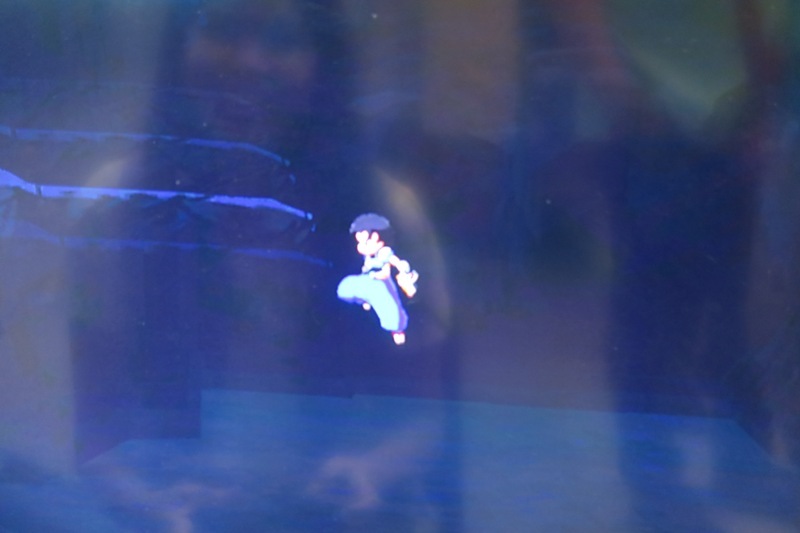 The unique moves gave the characters their own game identity. 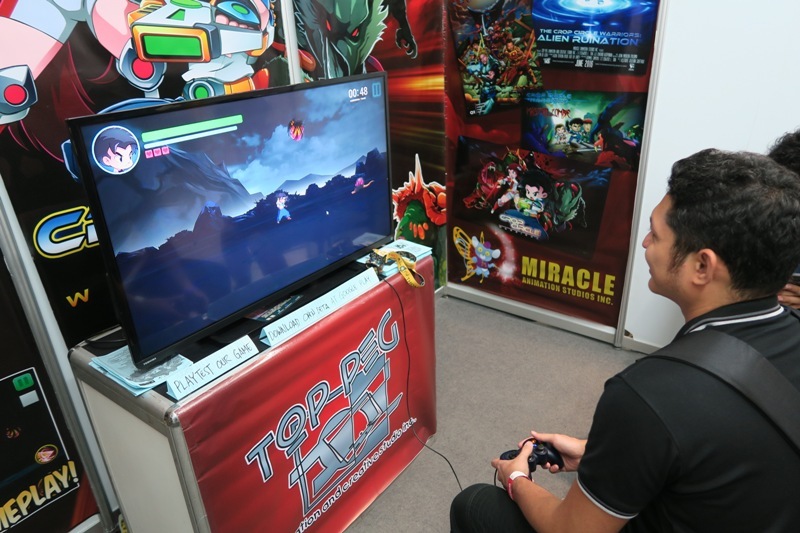 He also liked that it was cute for kids, but also that the game had some difficulty to play. It gave the gamers a challenge and not just a game that consumes your time. 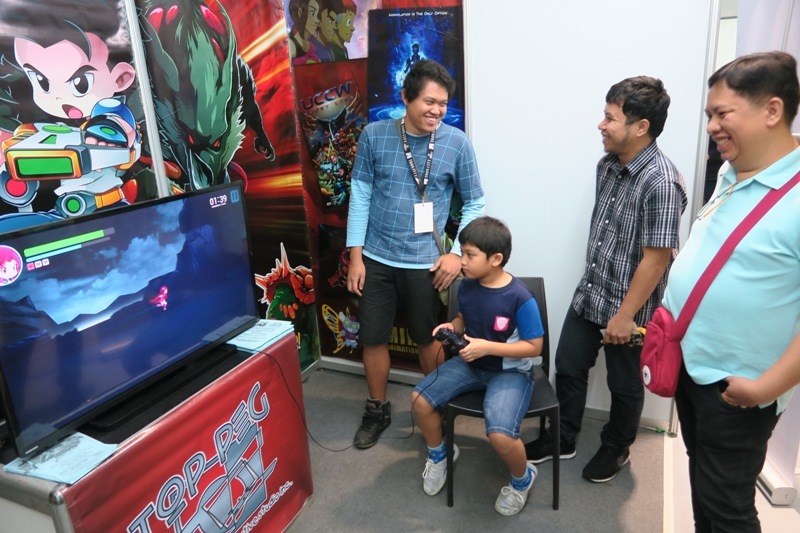 He wants to play and know more about the game; so when he asked when can they see the final game; I said hopefully, we could be at ESGS again for the launch for the full game – wishful thinking. 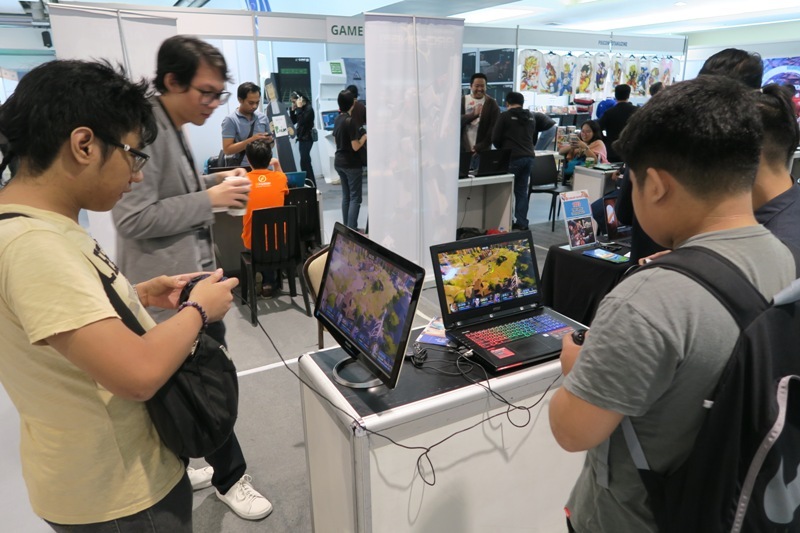 After the interview, I saw that more people were in line to play the game at our booth, then I also saw 2 guys downloading the game to their phones. 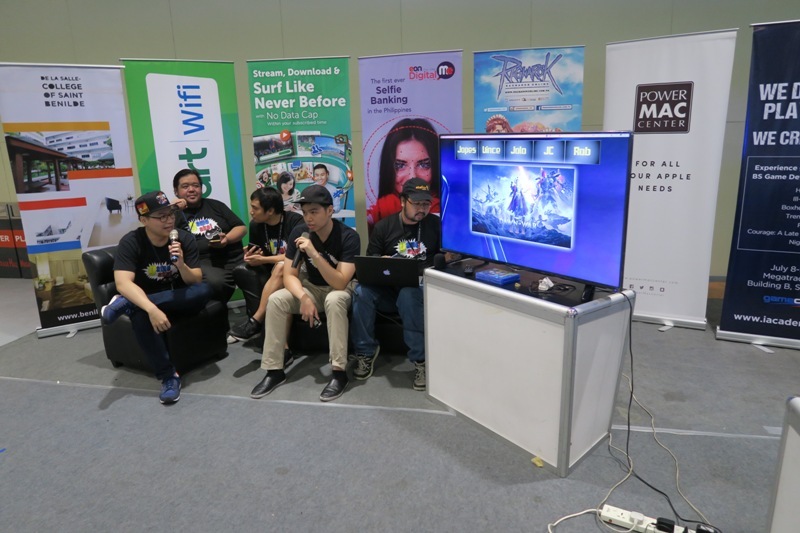 There was also a pitching of games from the Indie Booths at the stage with members of GDAP having a panel that was like an audition. 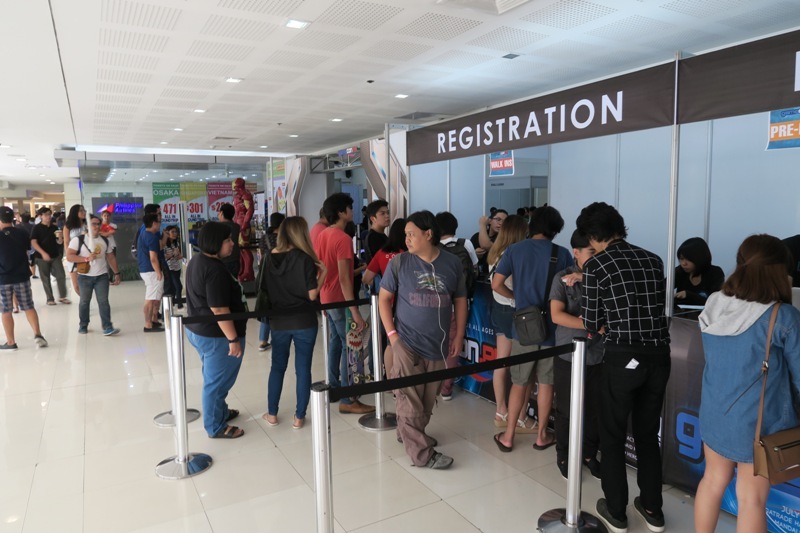 July 9, Sunday – I wasn’t able to go but Jap said that there were more cosplayers because of the competition; but the number of players who went to our booth was just the same as Saturday. 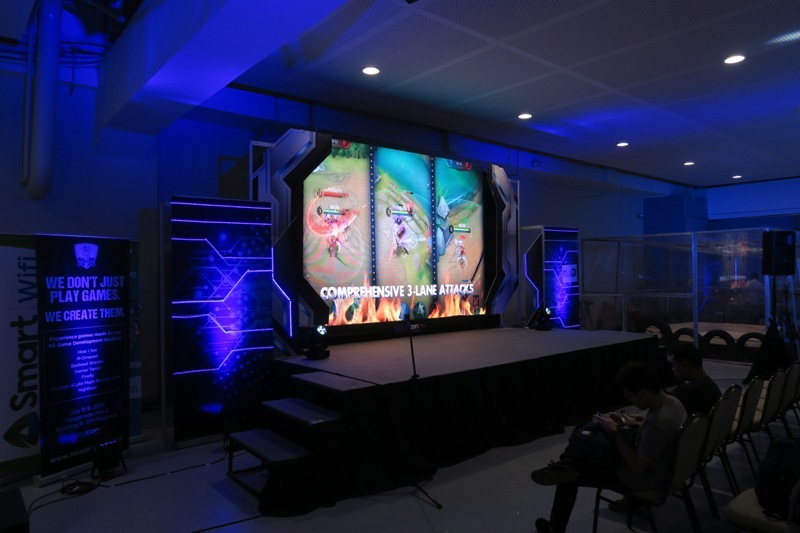 Even though the venue was much smaller than that of ESGS, in my opinion, we had a better showing here and we saw that The Crop Circle Warriors mobile game had potential.